Frustrated with how your recruiting module gets in the way of great recruiting? You are not alone. 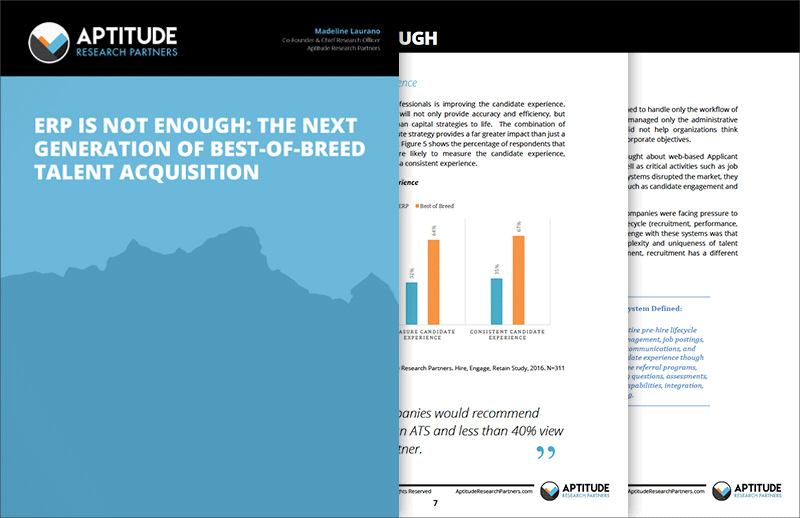 New research from Aptitude Research Partners identifies why companies are making the strategic decision to move away from traditional ERP to best of breed talent acquisition solutions for their recruiting and hiring needs.